The Big Hungered concert celebrates the three Baltic state birthdays and the 100th year of higher learning in Tallinn university of Technology. To mark this occasion the university choirs dedicated to organize something grand. The Academic Female Choir of Tallinn University of Technology, the Tallinn Technical University Chamber Choir and the Academic Male Choir of the University of Technology have combined to make a choir with 150 singers. 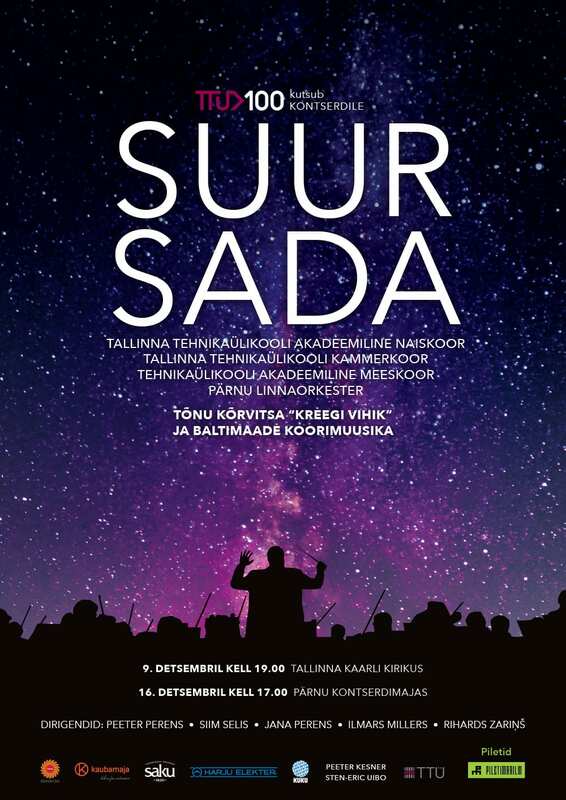 To make the music even more powerful, the Pärnu City Orchestra will also join us. In the concert works from composers of Estonia, Latvia and Lithuania will be presented. 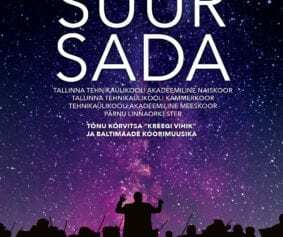 The culmination piece for the concert is the ” Kreek’s Notebook ”, composed by Tõnu Kõrvits in 2007 for the choir and the orchestra.